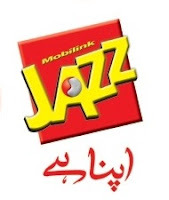 Mobilink has decided to increase the On-Net SMS rate for its prepaid JAZZ and JAZBA subscribers. Mobilink published a public notice in print media advertisement to inform its customers. An increment in On-Net SMS rate is for Jazz subscribers while increment in All-Net SMS rate for Jazba subscribers. 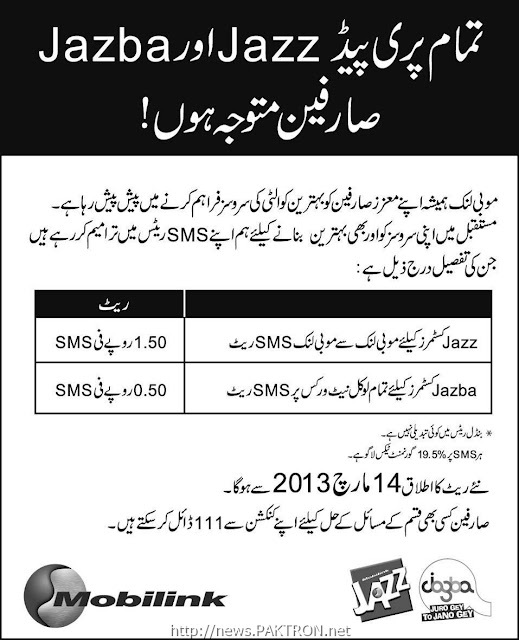 New SMS rates are applicable from 14-March-2013.